Harpreet Singh Bedi (Ranbir Kapoor) has just graduatred, and his marks are, well, let’s say a little embarrassing. But marks never stopped him from dreaming of an exciting and adventurous career, and they never will. He takes a deep, positive breath and dives into the world of sales, rumoured to be an ultra cool career for all smart people blocked from entering medical, engineering or business schools by brainless entrance exams. It’s everything he dreamt of, with its smooth dressing, smoother talking men and women who can sell ice to an Eskimo, dreams to an insomniac, and a lifetime mobile connection to a dying man. But soon, his idea of success begins clashing with the strange ways of these ‘professionals’ he looked up to. 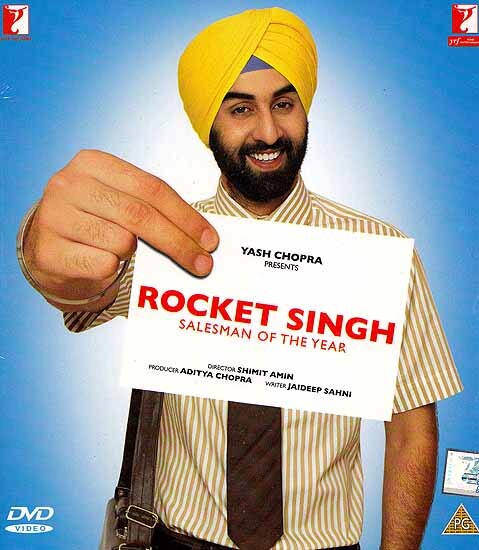 “Rocket Singh -Salesman of the Year” is the sometimes thoughtless, sometimes thoughtful story of a fresh graduate trying to find a balance between the maddening demands of the ‘professional’ way, and the way of his heart - and stumbling upon a crazy way which turned his world upside down, and his career right side up. Welcome to the world of sales boss! Production Designer T.P. Abio Editor Arindam S Ghatak Sound Designer Manas Choudhury Costume Designer Niharika Khan.